Some people have approached us saying “I can’t find the required result in Google”. Google can search more results than we might expect. General keyword searches only return broad results, for a more niche result we have to use ‘operators’ for advance search. 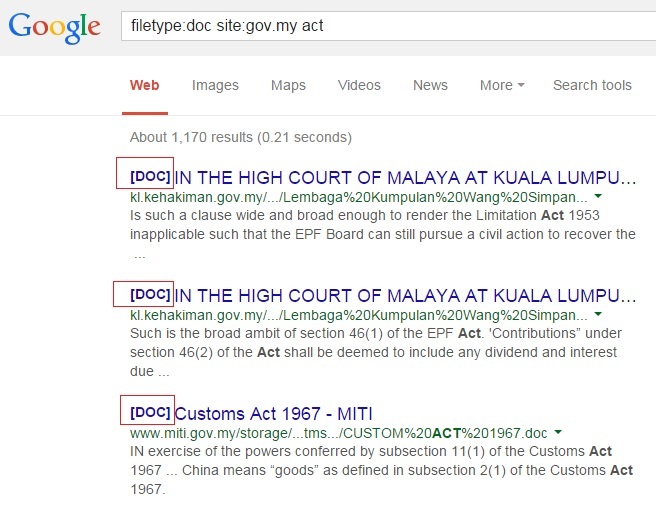 For example, a “filetype:pdf site:gov.my act” search will only show all pdf acts released by the Government of Malaysia. 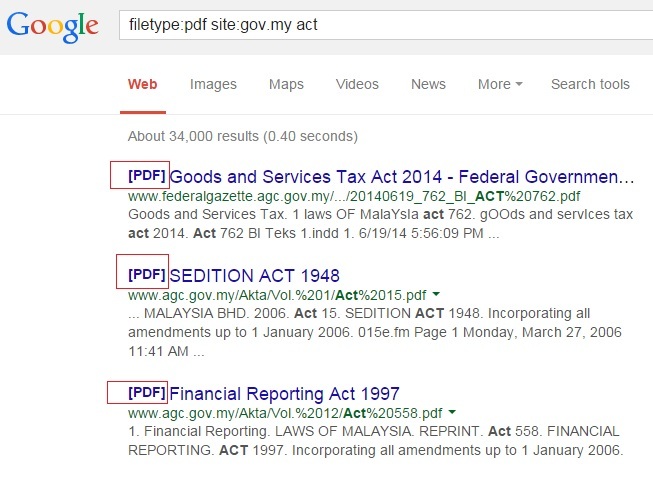 When we change the pdf operator to filetype:doc site:gov.my act, it only returns search results with doc files. It is hard to remember all search operator in one go, alternatively we can visit this URL https://www.google.com/advanced_search for advance search.